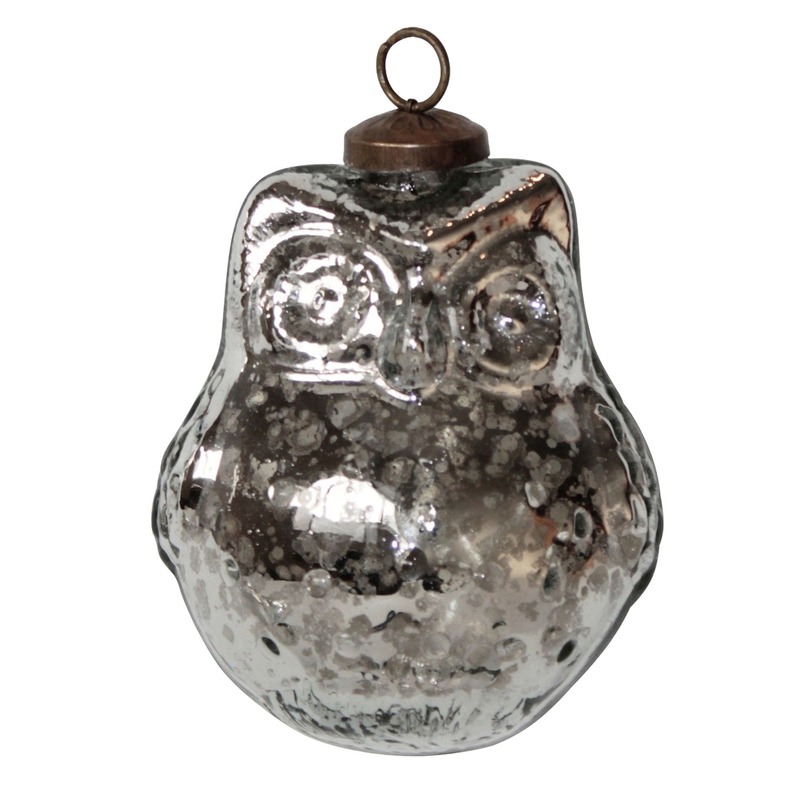 Owl Ornament, Mercury Glass - White x White - Antique and Fine Decor for the Home. Antique finish mercury glass owl shaped ornament. Nicely detailed glass with antique bronze finish cap and ring for hanging. Must be ordered in multiples of 12.